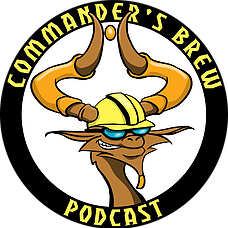 This week Sean brings in a wild and wacky brew that’s part Nekusar, part Great Aurora and as we find out eventually could be part Epic Experiment? Featuring cascade and Yidris, seriously this deck is NUTS! Also we officially have our playmats available for sale! Just go to http://commandersbrew.bigcartel.com for all the info! Head on over to http://wizardtower.com for all your Magic needs in Canada AND the USA! Great prices on singles and free shipping on cards within Canada and the US if you spend $15 or more! Plus if you use our coupon code, ilovebrews, you’ll get 5% off any order over $15!